With less than three weeks to go until Christmas, I've still got a lot to get done, including finishing my Christmas cards! 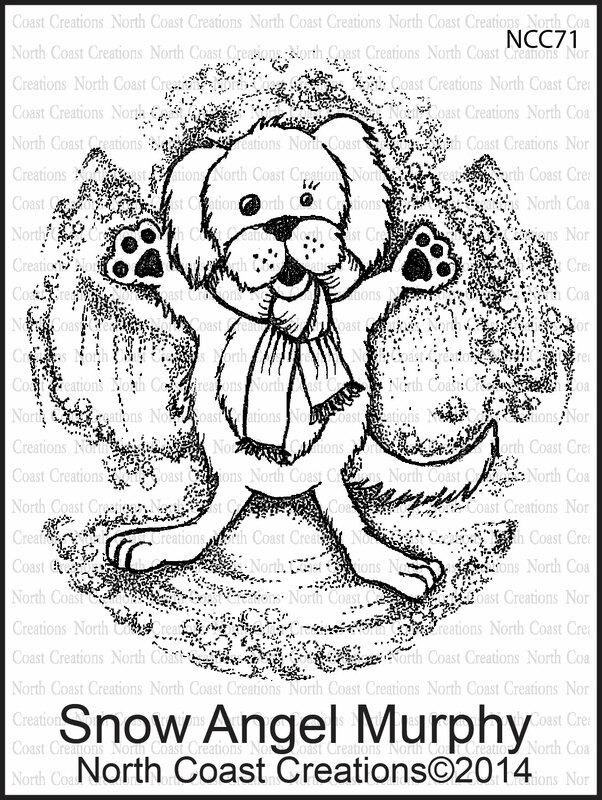 Today, the NCC DT is sharing projects created with the November Release, my card uses Snow Angel Murphy, Santa's List and the Let It Snow stamp sets, along with some of Our Daily Bread Designs (NCC's sister company) Custom Dies (see details below) and the newly released Mini Tag Sentiments and ODBD Custom Mini Tag Dies! I decided to cut Murphy from his dog angel background again, and did some paper tole and paper piecing using card stock, dimensionals and paper from Bo Bunny. The stack of presents are from the Let It Snow Stamp set, I used a SAMJ to stamp the presents, then paper pieced them with scraps of pattern paper. Murphy loves the hat from the Santa's List stamp set, it fits him nicely! I paper pieced that as well. 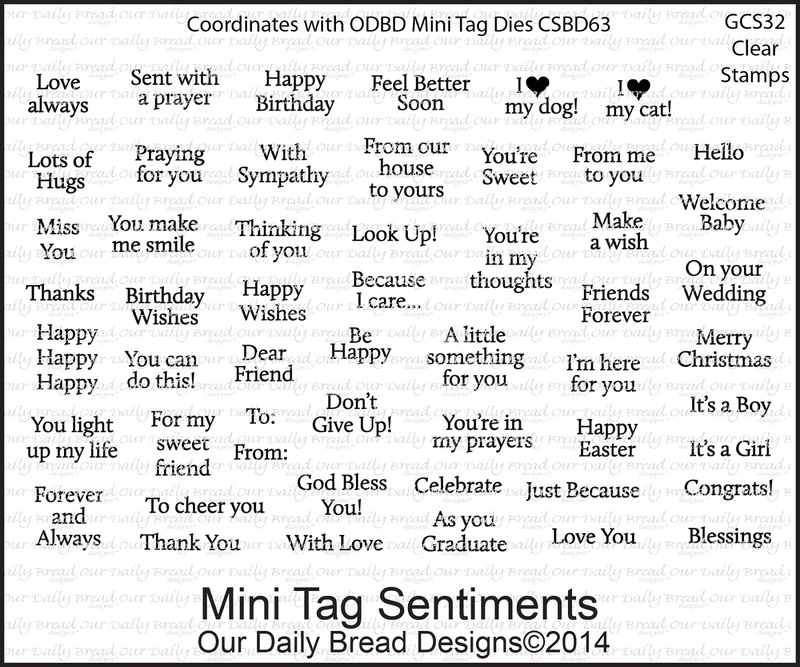 The sentiment and tags from Our Daily Bread Designs December Release work wonderfully on cards, I'm sure you'll be seeing me use them on many more! This is so cute. 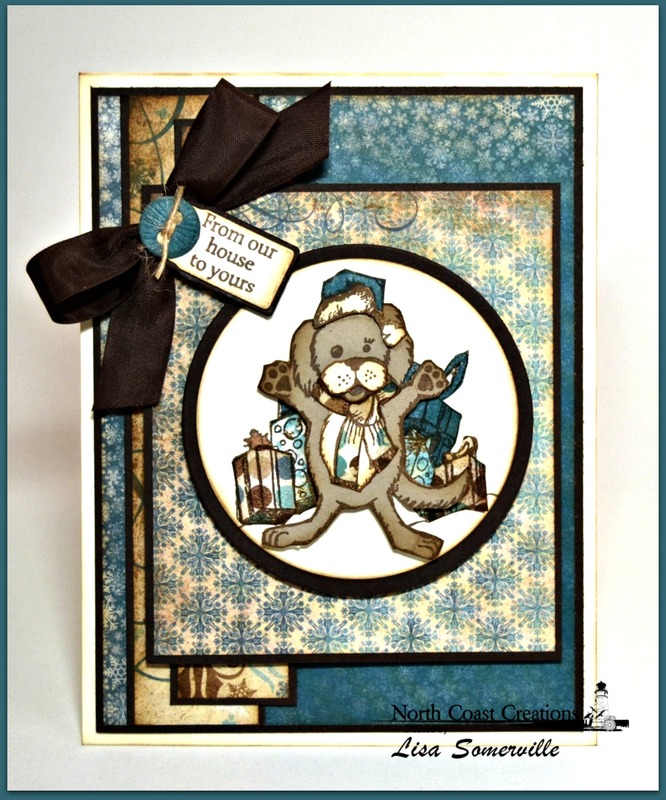 Loving the circle shape and the hint of vintage with the colouring. Murphy has lots of goodies, he must have been a good boy. Love him with the gifts! This is soooo cute Lisa! Love your paper tole and paper piecing and the presents behind him!! !